Here at 2 Machs Motorcycles we are huge motorcycling fans. Turning our hand to any task we are greatly experienced in Motorcycle Restorations. In fact it’s one of Ian’s favourite jobs, stripping and building a classic machine back to it’s former glory. 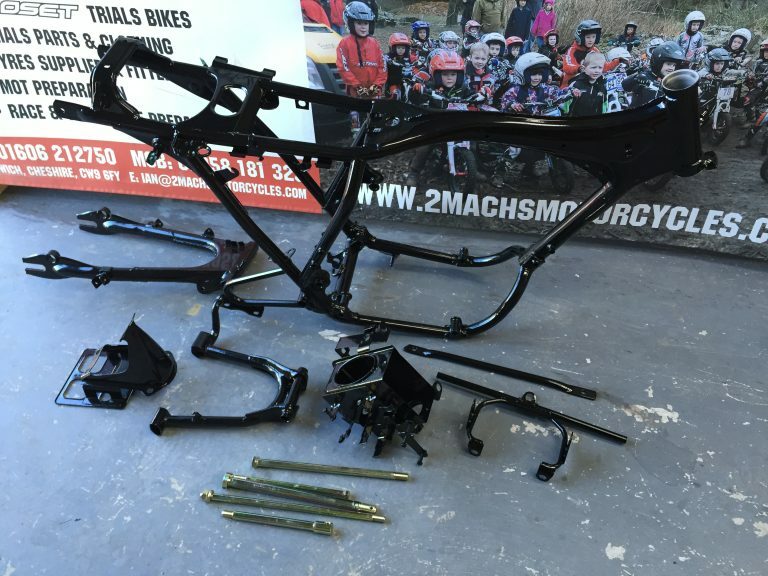 With our on-site Ultrasonic cleaning service, plus great motorcycling specific contacts for Paintwork, Powder coating, wheel building and all of the other essentials make us capable of a great restoration. As our history shows!! 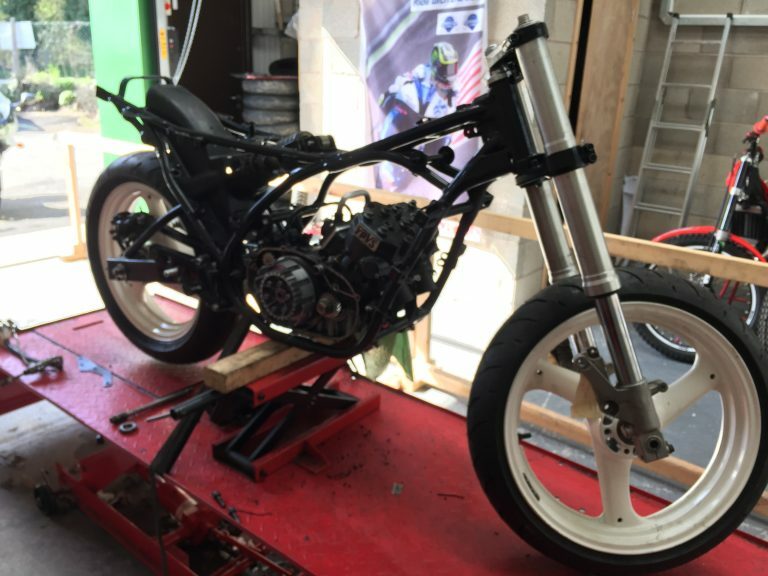 Recently we have completed a Yamaha RD350 LC hybrid build from boxes of spares fitted with RD350 YPVS running gear and Suzuki RGV 250 chassis parts. A really satisfying build, bringing the bike back to life from being in boxes for over 20 years. This was especially close to our heart as the LC is a model which Ian is a particular fan of having started his racing career on one and restored his own 350LC 9 years previously. 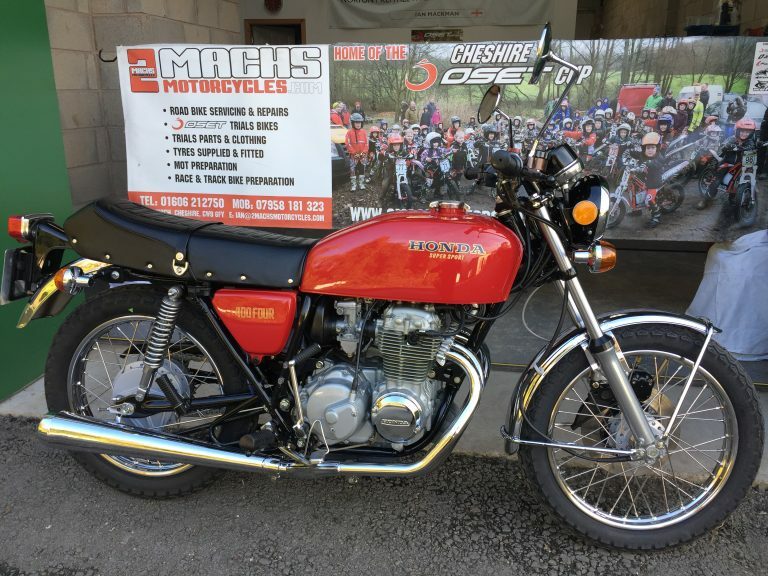 Following this was another interesting build of a Honda CB400/4, this particular Superfour had been stood, partially disassembled for 32 years! Covered in grime, corrosion, sawdust and with a seized engine it was stripped back to the bare engine cases. Rebored, Recoated, Repainted and Rebuilt back to as perfect as the day it left the showroom in 1976. Handed back to it’s proud owner for sunny summer rides!